What Does an Animal Health Inspector Do? Animal health inspectors ensure that animals are kept in safe environments where they're not being abused or neglected. 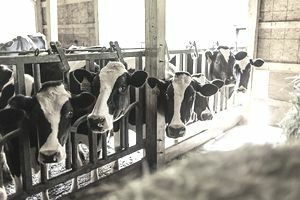 Their primary goal is to ensure that all facilities are operating in compliance with state and federal laws regarding animal health, safety, and welfare. All areas housing or processing animals must meet stringent requirements. Inspectors are generally assigned to monitor cases in a particular region. They issue licenses to breeders, pet stores, and rescue groups in that area. They are also involved with investigating and shutting down any unlicensed or otherwise illegal animal operations that are found to be conducting business in their territory. Just like health inspectors for human facilities coordinate with healthcare providers, animal health inspectors coordinate with veterinarians. They assist with disease testing on animal populations at inspected facilities and may be involved with the collection of a variety of samples for the testing process including blood, milk, body fluids, and tissue. Animal health inspectors also give recommendations to animal facilities to improve their biosecurity measures and reduce the incidence of disease. Academia: Most job postings for animal health inspector positions call for applicants to hold an associate degree at minimum, though most candidates chosen for inspector roles will hold a bachelor's degree in a field such as zoology, veterinary medicine, or animal science. Some inspectors have also earned their Doctor of Veterinary Medicine (DVM) degrees and are licensed veterinarians. Individual states may have additional requirements of their own—for example, New York requires that inspectors must be licensed as veterinary technicians. Experience: Most inspectors have extensive practical animal experience, particularly working in a veterinary or livestock management setting, before formally pursuing this career path. Laboratory and computer skills are also useful. Animal health inspectors must also be very familiar with all legal directives relating to the humane treatment of animals, particularly the Animal Welfare Act. Local, state, and federal regulations may be applicable to the animal health casework completed by the inspector. Animal health inspectors with advanced degrees, such as those who have a DVM, or those who have advanced to a managerial or supervisory role, will likely earn much higher levels of compensation commensurate with experience. According to the U.S. Bureau of Labor Statistics, the majority of agricultural inspector positions are with the federal government, state government, or slaughtering and processing facilities. States with large farming or agriculture industries are likely to have the highest number of job opportunities. Animal health inspectors may readily transition to a variety of animal law enforcement positions, including wildlife inspector roles. Animal health inspectors are usually required to travel extensively throughout their designated territory to investigate agricultural facilities, so it is not uncommon for the position to be a combination of fieldwork and office work, frequently during non-business hours when situations warrant. It is important that animal health inspectors carefully follow proper safety precautions when working around animals or inspecting facilities, as there is always a chance of injury when working with unpredictable animals that may be under extreme stress. Animal health inspectors work in offices, laboratories, and in the field. Work hours may vary according to when situations require a visit. Look at resources such as Indeed, jobsgalore, and jobrapido for the latest job postings. These sites may also provide tips for resume and cover letter writing, as well as techniques for landing and mastering an interview. The United States Department of Agriculture (USDA) offers training programs to qualified applicants. Also, many U.S. states have animal health inspector programs, such as the Municipal Animal Inspector Program in Massachusetts.